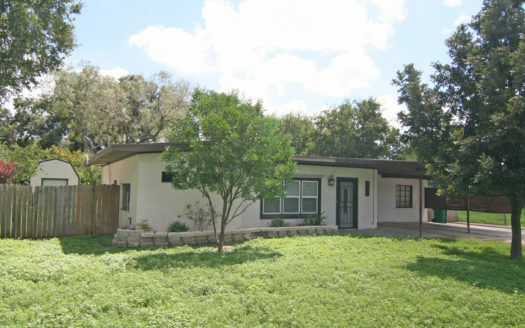 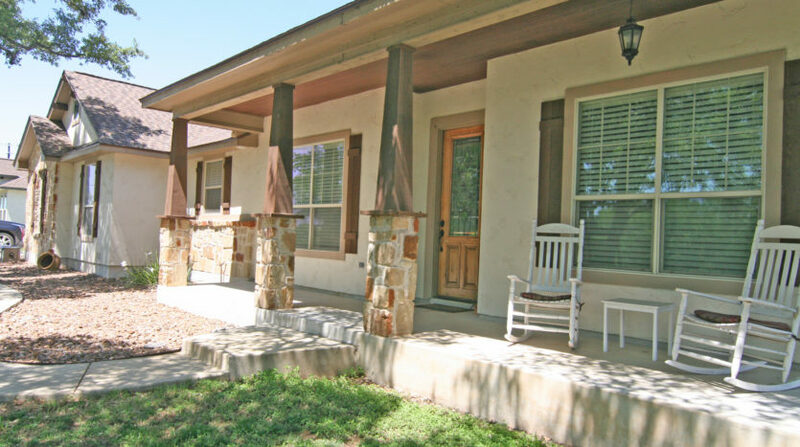 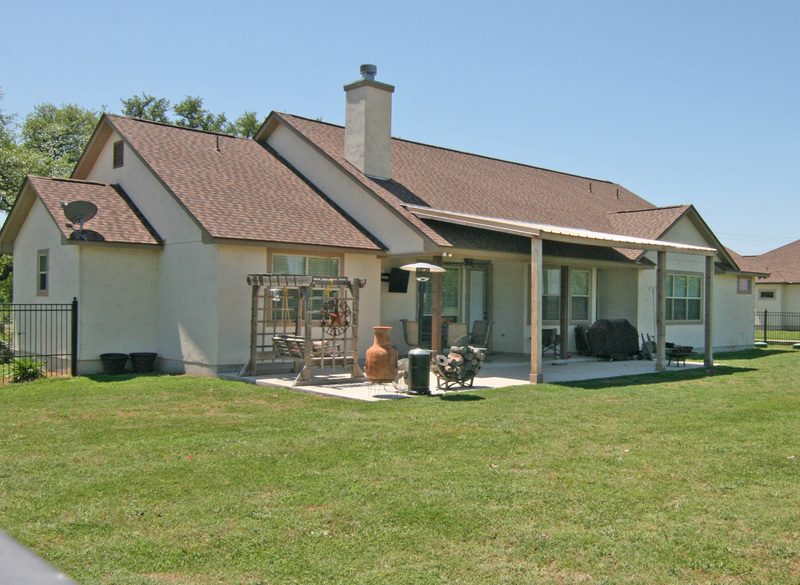 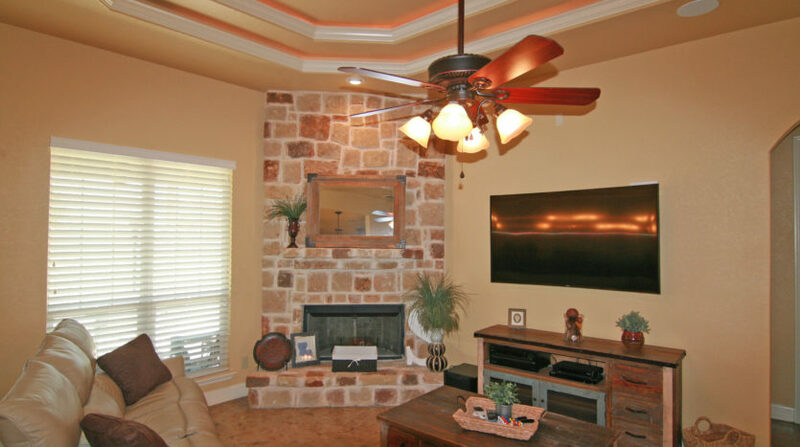 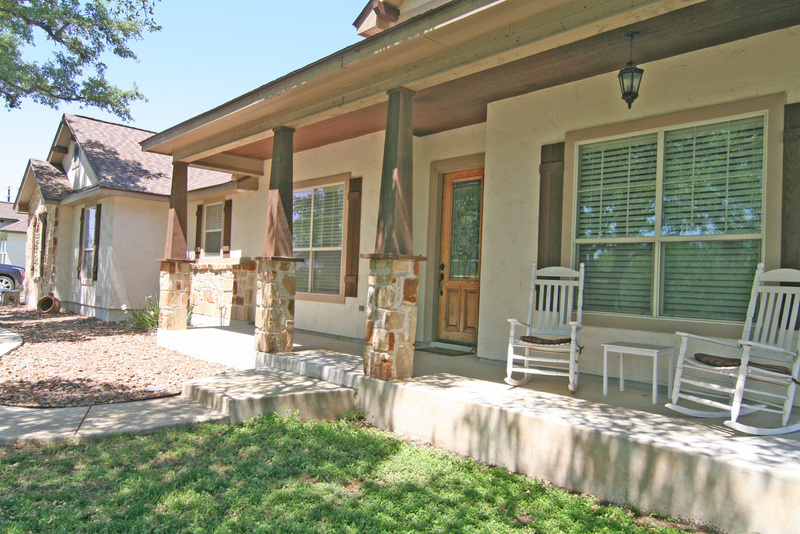 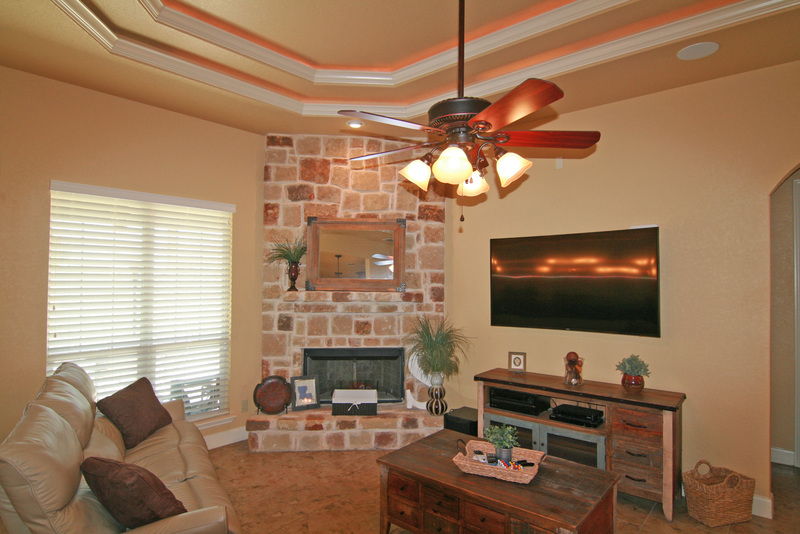 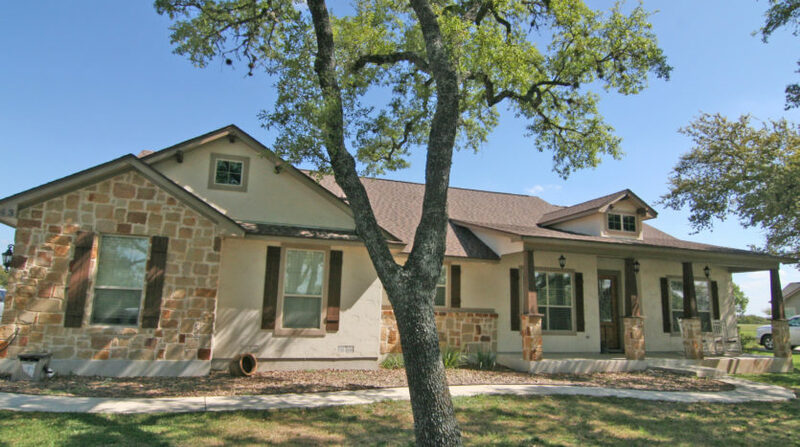 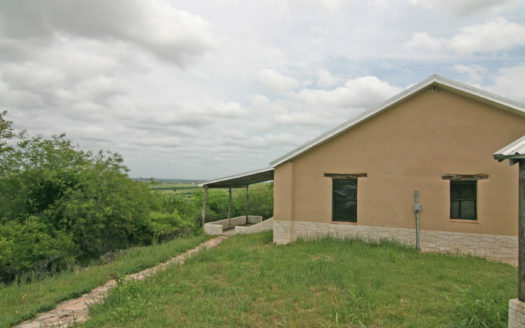 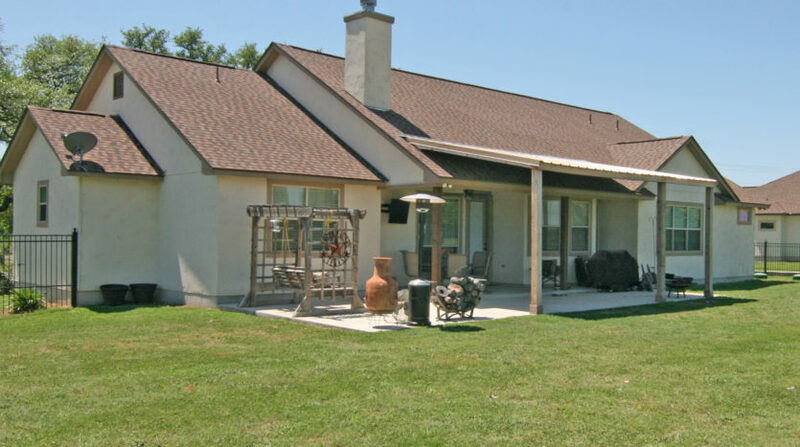 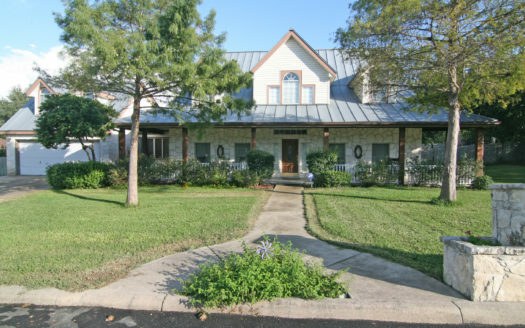 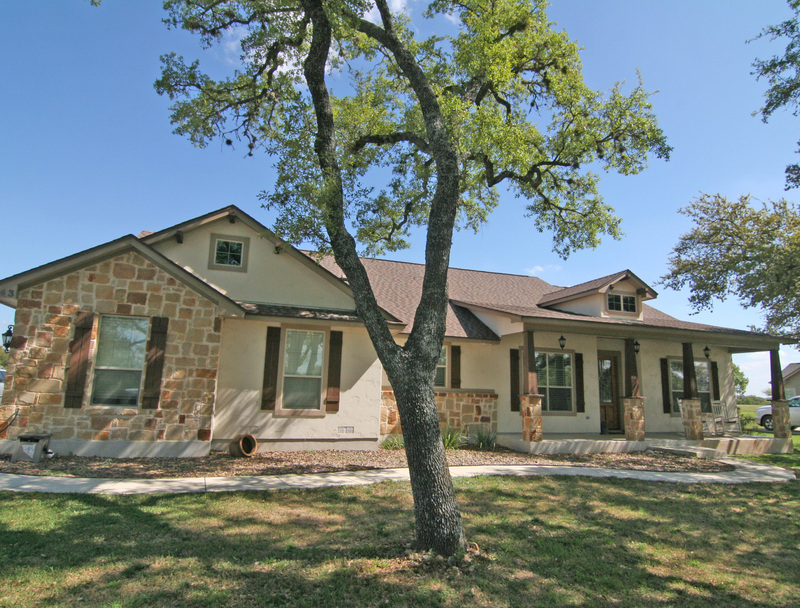 This beautiful rock/stucco home is approximately 2,300 s.f. 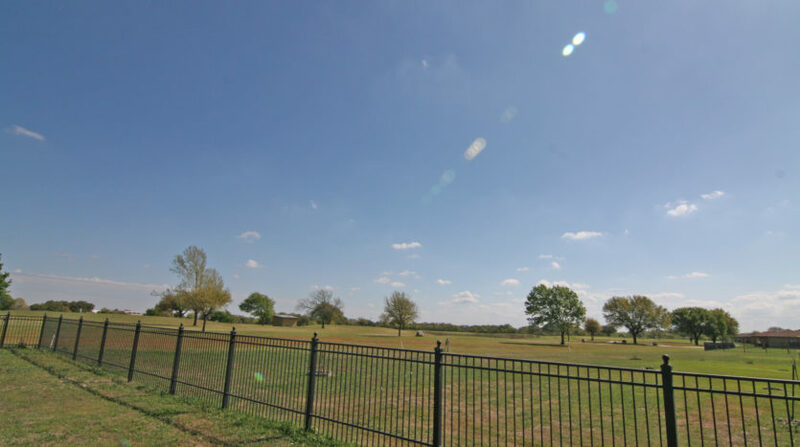 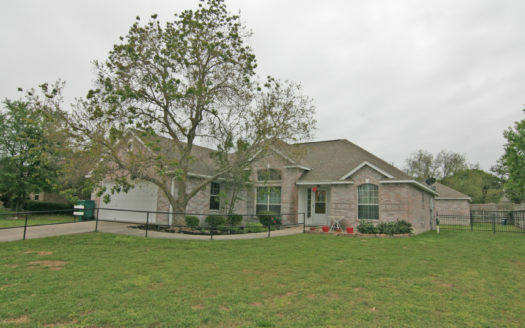 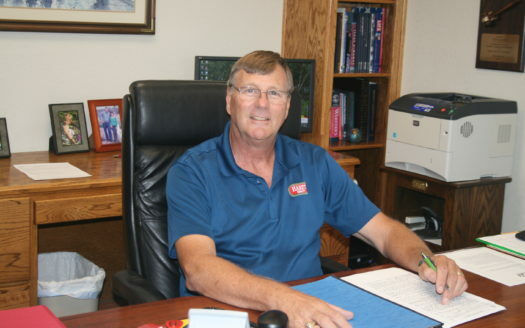 per Appraisal District, with 3 Bedrooms and 2 1/2 Baths. 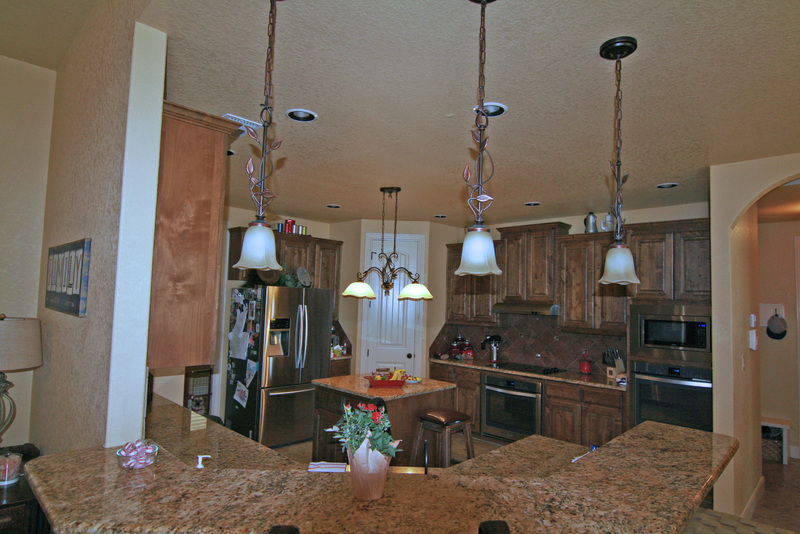 Built in 2016, the home features a spacious kitchen with double ovens, granite counters, island and beautiful stained cabinets. 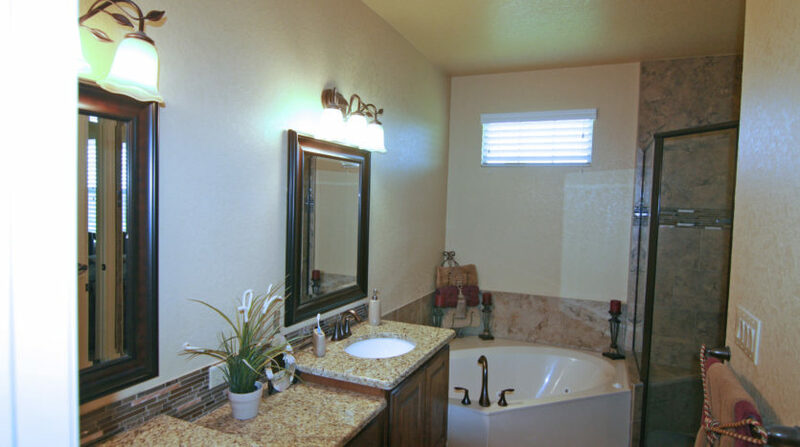 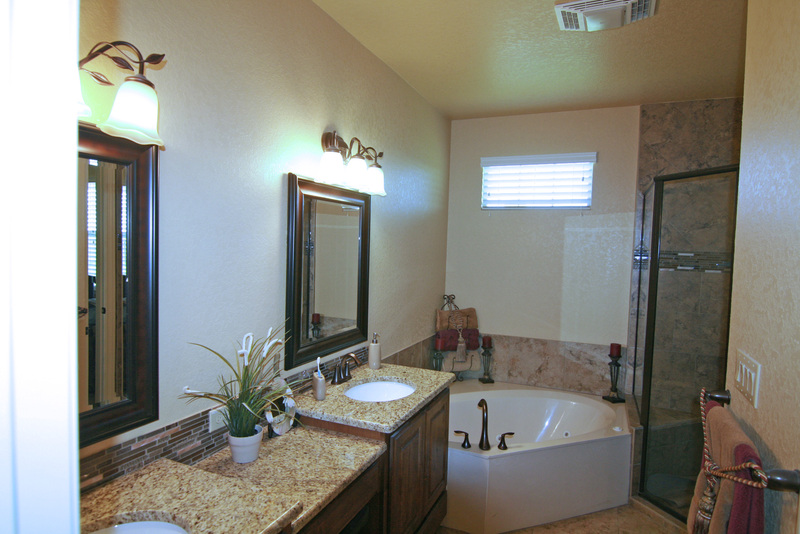 The large Master Bath has a tiled shower, whirlpool tub, and granite topped separate vanities. 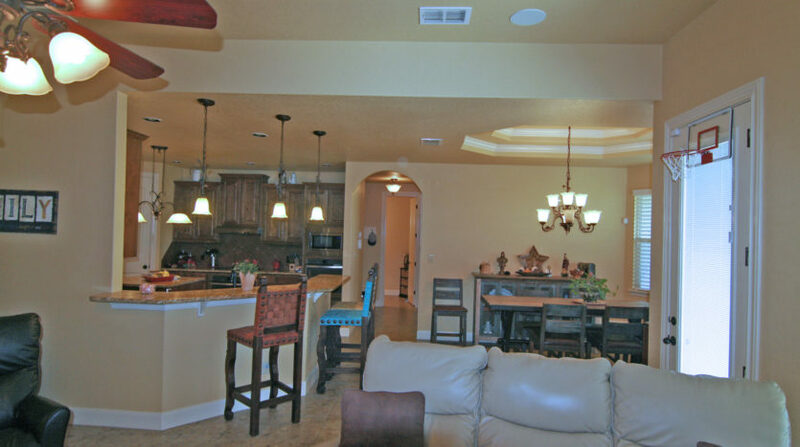 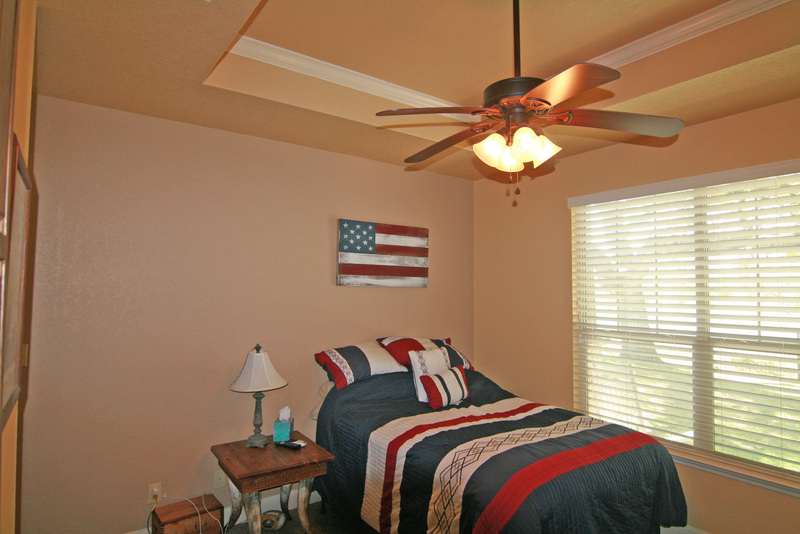 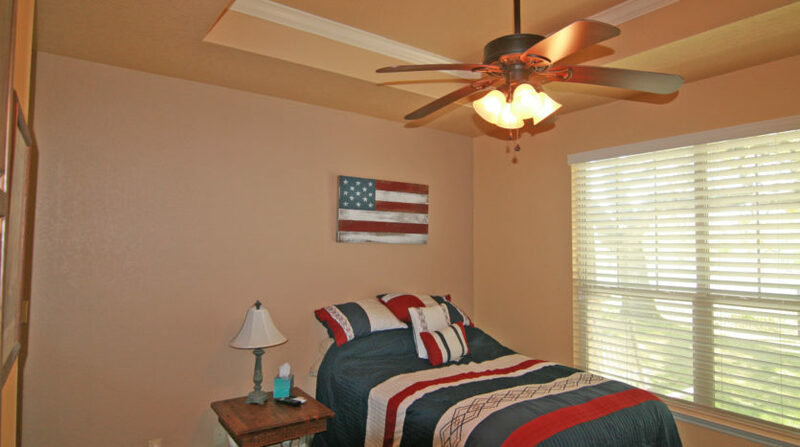 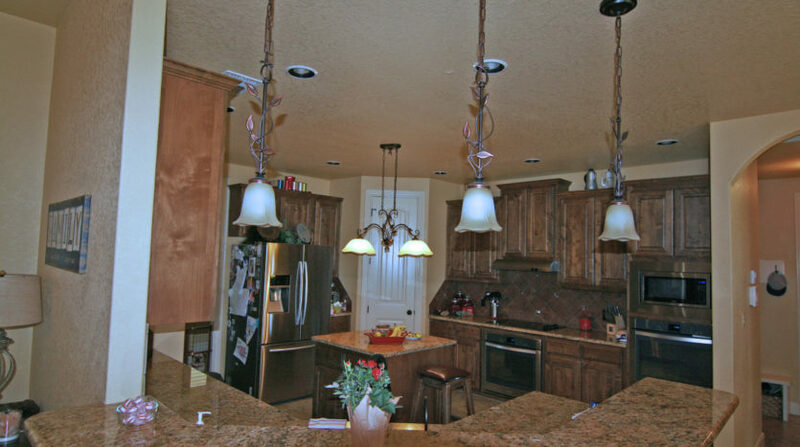 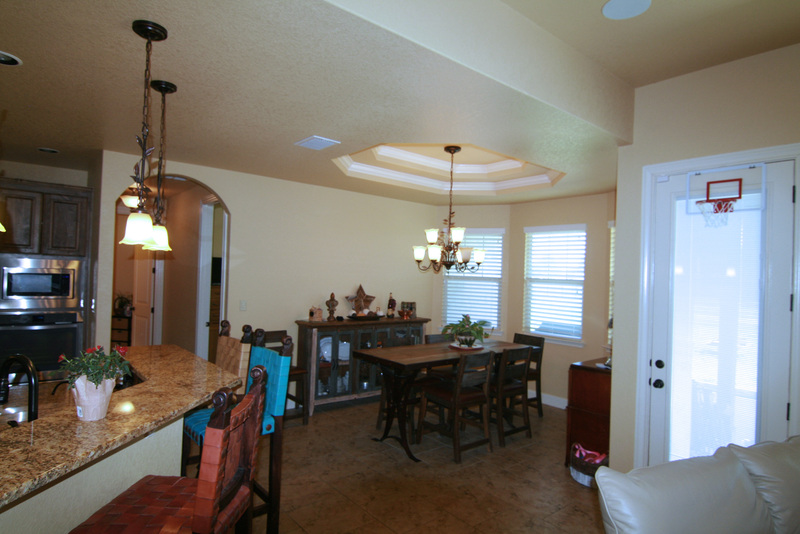 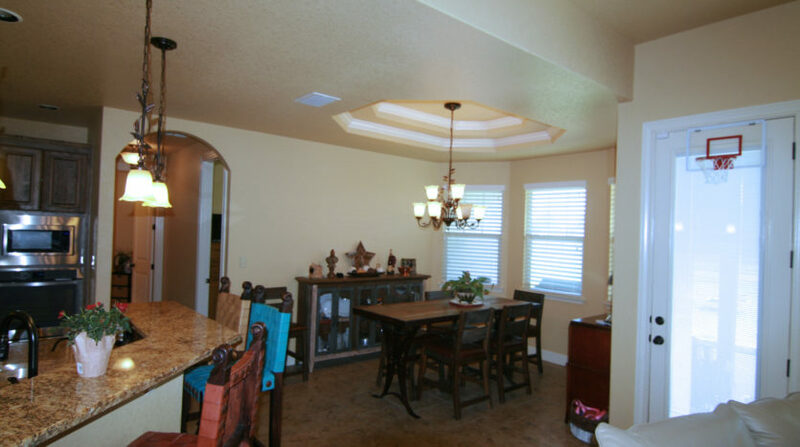 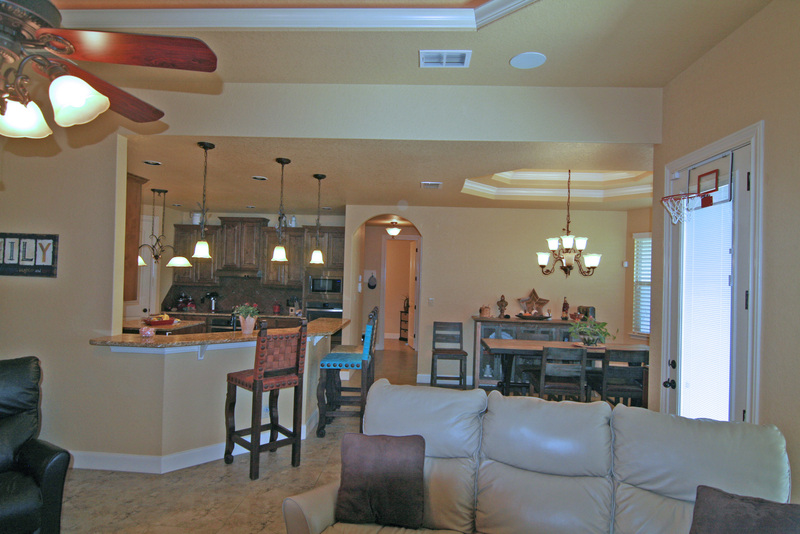 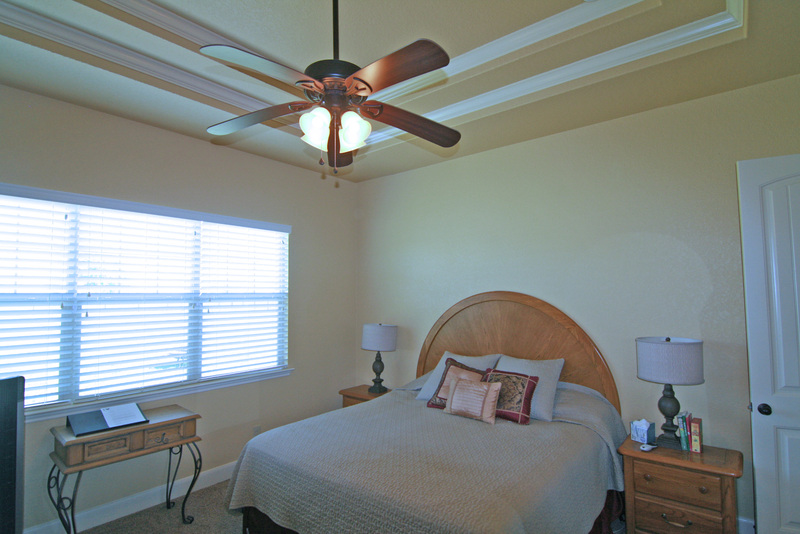 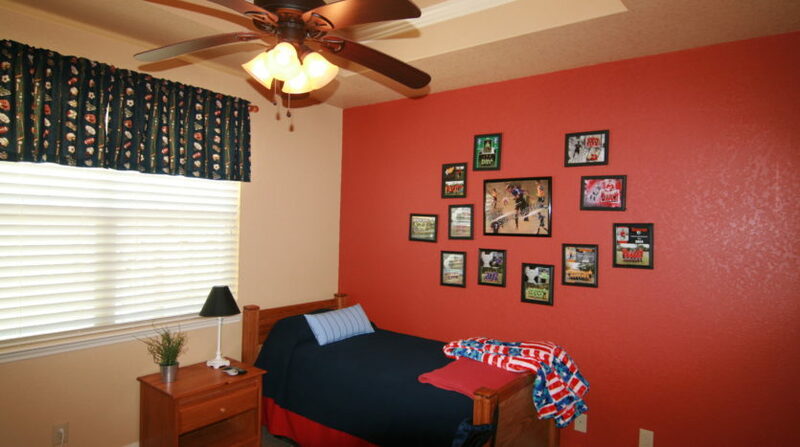 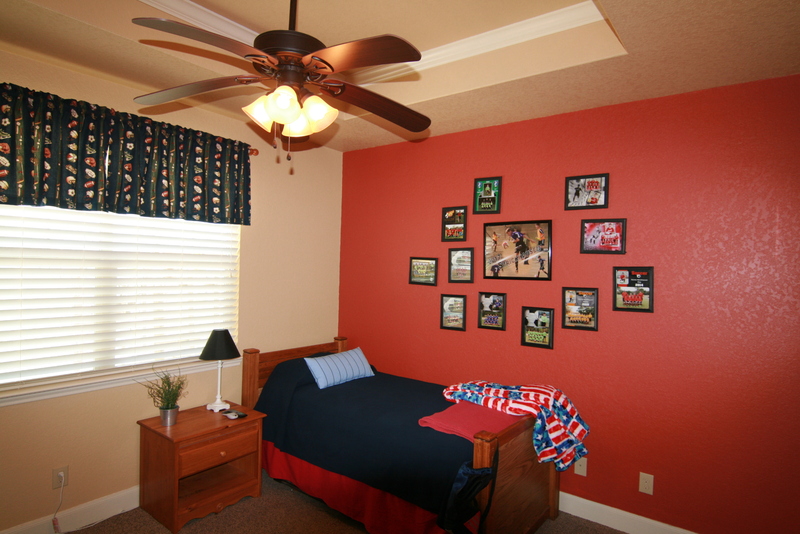 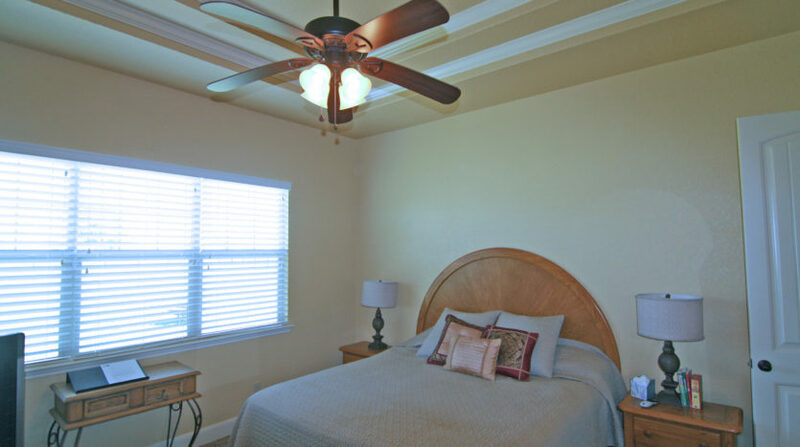 Crown molding and dimensional ceilings are featured throughout the home. 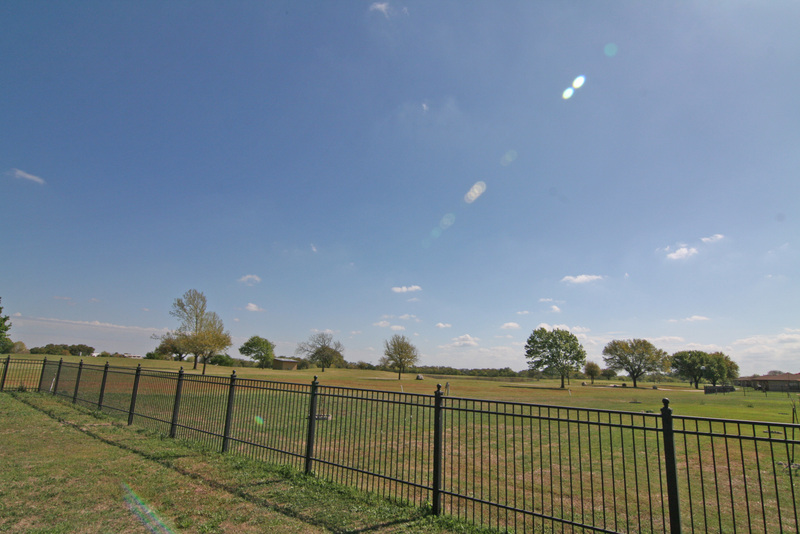 Back yard views of the 2nd fairway of the beautiful Alsatian Golf Course.